Packaging is a fundamental part of any brand. It defines product integrity, security and drives innovation. Consumers are attracted to strong and recognisable products that need to be consistent in size, colour and shape. Packaging is therefore an integral part of the manufacturing process. 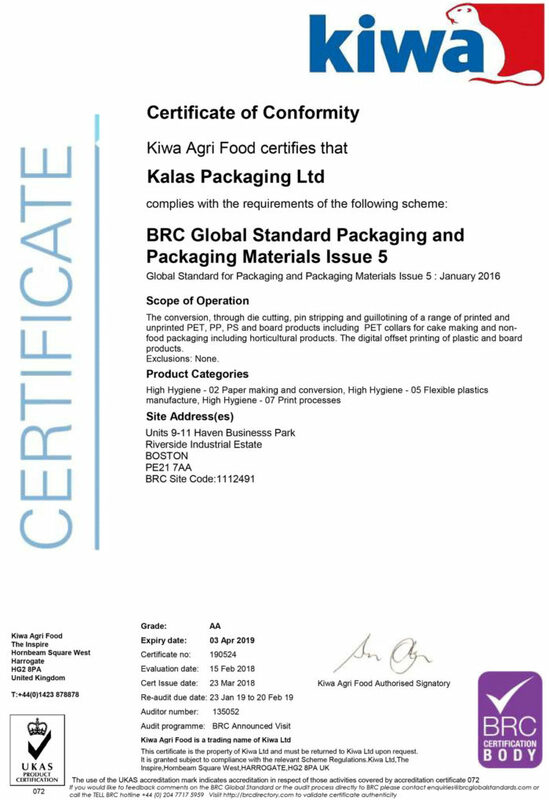 The BRC Global Standard for Packaging and Packaging Materials is the first Packaging Standard in the world to be recognised by the Global Food Safety Initiative (GSFI) benchmarking committee. It’s why over 3,500 suppliers in over 80 countries have chosen to be certificated to this scheme and is recommended or accepted by specifiers worldwide. The BRC Packaging Standard can be used by any manufacturer producing packaging materials for all types of products – from food to consumer products – at all.